. : Centro de Investigaciones en Optica, A.C. :. Developing and study of organic and inorganic photonic materials attending their linear and non-linear optical properties either in nano-structures as well as in bulk. Implementation of photonic materials into opto-electronic devices such as organic photovoltaic cells (OPVs), OLEDs and sensors. 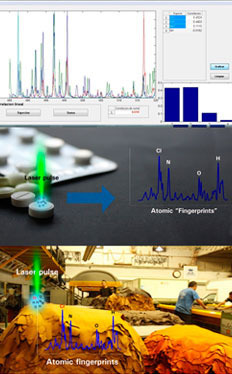 Developing instrumentation and applications of spectroscopic techniques in fields such as bio-photonics, food industry, pharmaceutical, archeology, shoe and paint industries. Some specific goals and perspectives. To increase lifetime of the devices and to study stability of the used compounds. The look for quasi-flexible substrates to be used in flexible devices. Larger areas of the active materials are needed for building a device prototype. A research program is on its way to produce our own and new compounds for devices and sensors. 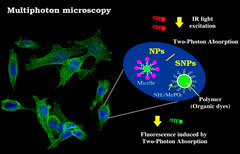 Bio-optics research/applications of nanoparticles is carried on. Integrating Raman and LIBS techniques with one common laser source for industry and for research work. The use of fast spectroscopy for the study of photo-carriers and processes within an organic solar cell. The use of two photon spectroscopy for bio-optics studies. 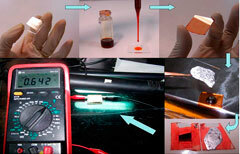 Developing organic solar cells with power conversion efficiency above 7 %. 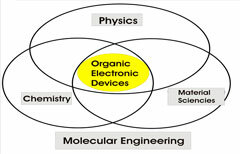 To promote the use of spectroscopic techniques in other fields and to fabricate device prototypes for industrial and academic purposes. To develop organic and inorganic nano-structured materials. To manufacture OPVs with the support of private investment. To provide spectroscopic prototypes according to the clients’ needs. To develop nanostructured sensors for detecting specific analytes. To develop organic and inorganic nano-structured biological markers to be used in obtaining bio-images.